HomeArticles | NewsLatest PostNow your using your head for something other than a hat rack. Now your using your head for something other than a hat rack. 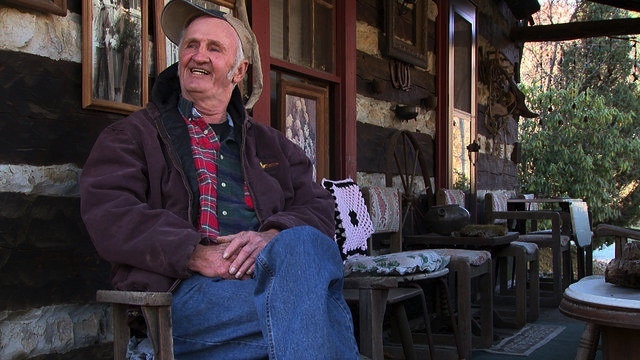 What can Jim Tom from the well known TV series Moonshiners teach us in the ARM industry? Well, first of all we need to learn to think about collections from a totally different point of view: to use our brains. So first, let’s explore what the issues are; growing regulations, compliance, lower profits, higher expenses, consumer attorneys and well that’s enough for now. So how do we overcome those hurdles: reduce costs, automate, build compliance and increase collections. We have taken the whole industry and put its issues and solutions in one paragraph, but what’s next? Jim Tom would say “it’s time to figure out a MacGyver solution”. Moonshiners were and are some of the most ingenious people in the world. They have been hiding jugs of moonshine in cars and other vehicles for decades. They have figured out how to make moonshine in the middle of the woods with no electricity or running water. They learn to solve problems by looking around and finding a solution using objects and tools that were close by to their still site. It is time for the industry to start using its head for something other than a hat rack and realize that change is what needs to happen in the industry. We will have to look for new ways to reduce costs, to automate collection processes, to build processes that are 100% compliant and ways to drive collections. Bill collectors tend to look at problems like bill collectors, and it is time we start looking at them from the side of the consumer. We must find consumer friendly ways to collect outstanding debt, which means we must allow the consumer to interact with us in a manner that he or she prefers. Surveys have clearly shown that consumers prefer to deal with debt collection online as opposed to direct human interaction. Collection agencies and collection law firms need to move towards a self cure solution, providing the consumer a payment site 24 hours a day, and communicate with their preferred way, perhaps a smart device, via text. It then becomes the job of the collection agency to drive the consumer to directly that payment site to self cure the bill. Only consumers who have disputes are more difficult because they most likely have questions that need humans interaction. And, those will be inbound calls reducing the compliance issues tremendously. In order to drive that consumer to the payment site or the inbound phone call, we will need the consumer to opt-in toan email or texting campaign. This is where we can hug the consumer by educating them and establishing a relationship in addition to driving them to self cure. Due to the very low cost of these electronic communication channels, we can now look at communicating with the consumer in a much different and better way that is much more friendly from the view of the consumer but the regulators as well. The next evolution of Debt Collection is implementing automation using email and texting channels and the types of messages that will be used to drive those self cure solutions. If you are looking for the next evolution of debt collection and want to grow your business starting today with new automation, call Phillip W. Duff at 904-687-1687. Jim Tom would likely suggest a snort of shine and a little deep thinking about now.